And so then I slashed it to $47 - but the more I thought about it, I realized that's *still* a bit much for a lot of people, so I sliced it by another $20 off and added a nifty bonus to the package to sweeten it even more. 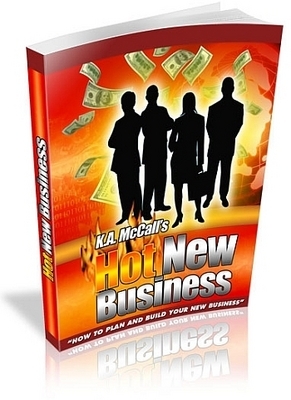 This way, you'll be able to sell "Hot New Business: How To Plan And Build Your New Business" to your customers and keep 100 of the profits. You'll have your own product that you can sell to YOUR customers and keep all the profits! There is absolutely no additional charge for the resell rights package. It's ALL included in your one time payment of just $14.95! So go ahead and click the order button above for secure, fast delivery of "Hot New Business: How To Plan And Build Your New Business" so you can start reading it and begin your home business planning as early as today!